MILWAUKEE, Feb. 26, 2019 /PRNewswire/ -- ManpowerGroup (NYSE: MAN) has been recognized for the tenth year as a World's Most Ethical Company by Ethisphere, the global leader in defining and advancing the standards of ethical business practices. ManpowerGroup received top scores for culture, leadership & reputation, and corporate responsibility. Ethisphere's World's Most Ethical Companies recognizes organizations spanning 21 countries and 50 industries that play a critical role in influencing and driving positive change in societies and the business community around the world. "Our business was founded on strong ethical foundations 70 years ago and these values remain more relevant than ever today," said Jonas Prising, ManpowerGroup Chairman & CEO. "Our leaders set the tone and everyone is responsible for keeping our ethical compass firmly in place, creating a culture where people can achieve their full potential. Like many organizations, we see high ethical standards, trust and transparency becoming increasingly important for all stakeholders: investors, clients and especially employees. That's why we're pleased to be named a Most Ethical Company for the tenth year." ManpowerGroup Chairman & CEO, Jonas Prising, will join Ethisphere and other business leaders at the Global Ethics Summit in New York City, March 13th sharing his perspective on Tapping Into the Best Character of an Organization. This World's Most Ethical Company accolade follows ManpowerGroup's recognition as a Fortune's Most Admired company, confirming its position as the most trusted brand in the industry. "Employees, investors and stakeholders are putting their greatest trust in companies to take leadership on societal issues," said Ethisphere's Chief Executive Officer, Timothy Erblich. "Companies that take the long view with a purpose-based strategy are proven to not only outperform but last. I congratulate everyone at ManpowerGroup for earning this recognition." The full list of the 2019 World's Most Ethical Companies and methodology can be found at https://worldsmostethicalcompanies.com/honorees. 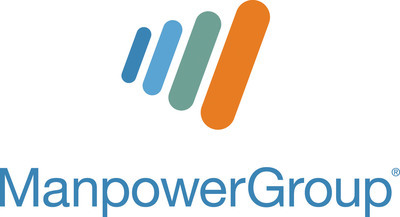 See how ManpowerGroup is powering the future of work: www.manpowergroup.com.